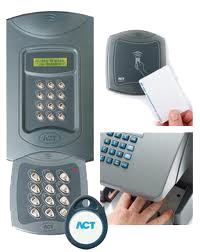 Whether it’s a house, business premises or manufacturing facility, Hall Alarms can provide the total electronic security solution. Our system designer will meet you at your premises to assess your needs, following that we will recommend the relevant system(s) to protect you, your home, family and business. Customers can also avail of our FREE consultancy service, where we can advise on upgrades and extensions to systems. We use reliable, value for money equipment. In some cases we buy direct from experienced manufacturers, otherwise, we purchase from reputable distributors. The majority of brands we use have been long-term specialists in security and fire products; therefore, the percentage of product returns is negligible. All products are manufactured to the relevant standards and regulations. We offer servicing agreements to all customers, and comprehensive cover including emergency call outs, labour costs and replacement equipment. Hall Alarms can also takeover any existing system, fitted by others. A full 12 month warranty is given with all new equipment installed. If a problem occurs after hours or at the weekend, we always have an engineer “On – Call”, 24/7, 365 days a year. Simply call us and you will be redirected to the after hours service. 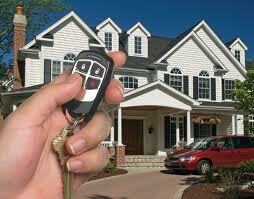 All Hall Alarms engineers have many years experience in the security and fire industry. The company invest annually in providing in-house and manufacturer training on systems to ensure all engineers are competent in all the developing technologies. Hall Alarms is flexible and can adapt to a dynamic changing industry, we regularly attend industry trade shows to see what extra benefits, or new products are available for our customers.